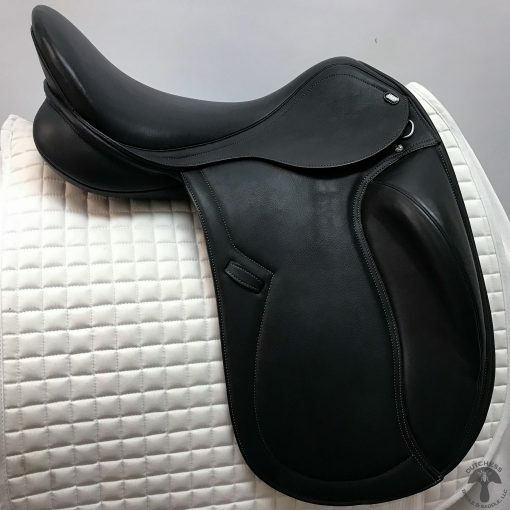 View cart “Kent & Masters Compact GP 17″ All-purpose saddle 0595” has been added to your cart. 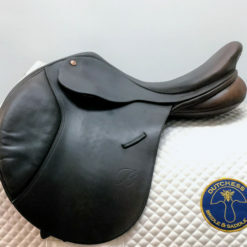 The Delicato is designed for horses who have no withers and are barrel shaped. 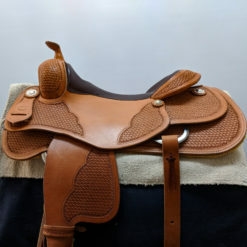 This saddle is built on a close contact tree with a a narrow twist and monoflap design for a close contact feel. 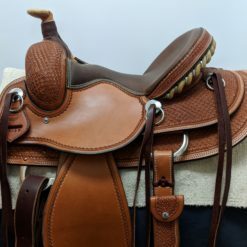 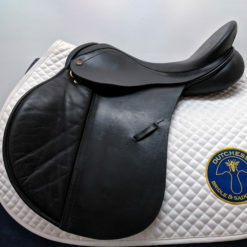 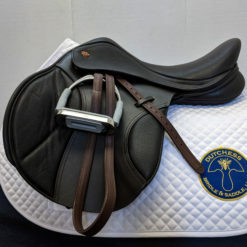 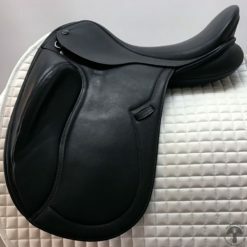 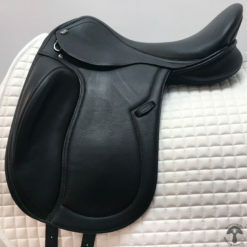 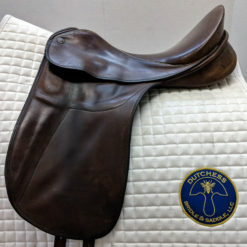 HORSE FIT DESCRIPTION: This saddle has an interchangeable gullet plate system. 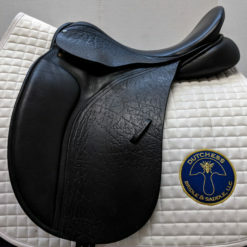 The tree point width can be changed to accommodate a variety of wither shapes from narrow to x-wide.